Sainik School Nagrota Jammu Jobs Recruitment 2018 – 2019. A recently published the official jobs notification for the post of Bandmaster, Ward Boys, General Employees 18 posts. Sainik School Nagrota Jammu Jobs Recruitment 2018 – 2019. Free Job Alerts and Updates for both Fresher and Experienced Candidates. 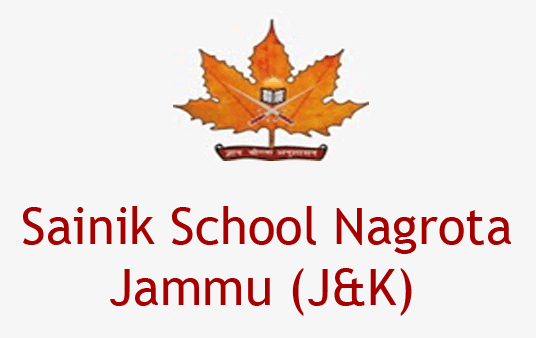 Get Direct Official Link from sainikschoolnagrota.com for applying Sainik School Nagrota Recruitment along with current Sainik School Nagrota Recruitment official Notification 2018 -19 here on jkalerts.com. Check all latest Sainik School Nagrota job openings instantly here on jkalerts, Know upcoming Sainik School Nagrota 2018 – 2019 immediately here. Find all recent Sainik School Nagrota Vacancies 2018 -19. Last date for receipt of application forms is within 15 days from date of publication of this advertisement. All posts are on contractual basis and for a period of one year only. Age for all posts is between 18 and 50 yrs as on 01 Sep 18. Jkalerts will provide you the complete detail about this J&K Govt job notification like Eligibility criteria, How to apply Online, Important dates, Age limit with relaxation, post by category, Selection process & official notification. So interested candidates are requested to read it carefully to apply Sainik School jobs. Last date for receipt of application forms is within 15 days from date of publication of this advertisement.